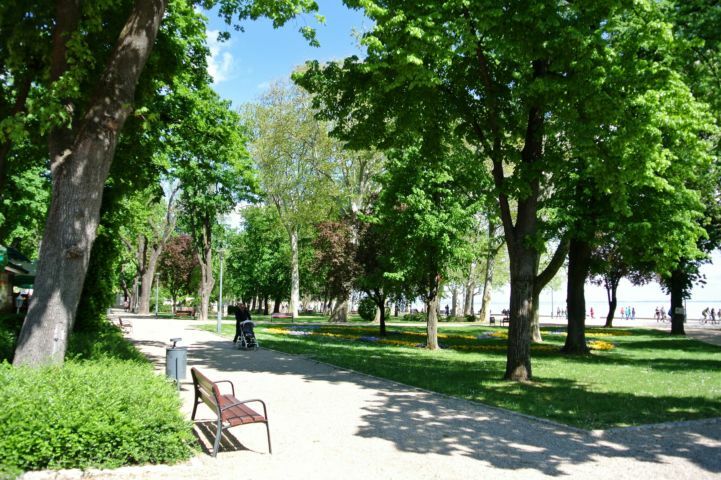 The city lying on the northern bank of Balaton is the oldest holiday resort of the lake. Füred is a perfect holiday destination not only in the summer season but most of its sights can be visited all year round. 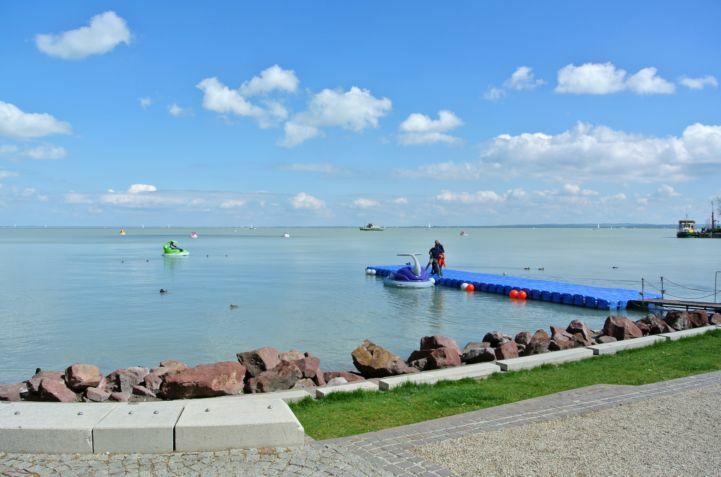 Besides its closeness to the Balaton and sights, its popularity is due to the healing, acidulous water that flows here. Balatonfüred is also well known for the Anna-ball, which was first organised in 26 July 1825 with many of the famous artists and politicians of the period, and soon became popular countrywide. The dancing is traditionally held on the Saturday closest to Anna Day which is also the end of the bathing season. The city was the location for the shooting of the Ötvös Csöpi movies starring István Bujtor and András Kern, which were inspired by the Bud Spencer and Terrence Hill movies. Over 27 years 7 movies in the series were shot here. Bujtor was also an avid sailor of the region. 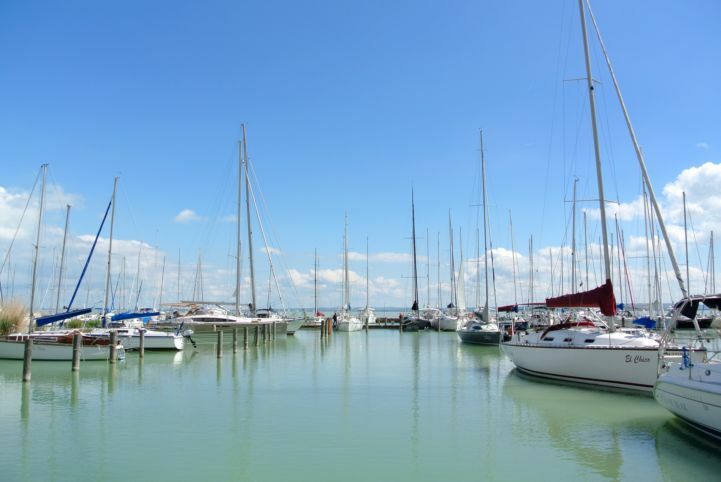 And Balatonfüred really has a connection to sailing: in 1934, the local Hungária Yacht Club organised the first Blue Ribbon Competition, which became the Europe's largest around the lake sailing competition. The distance the competitors have to sail between the starting and end points in Balatonfüred would be 160 km in a straight line but of course it is not done in like that but rather by sailing close to the shore. The name of the race originates from the custom that the fastest sailor of the seas would put a blue ribbon on his/her ship. In 2016 the 48. Blue Ribbon Competition was held. Tagore Promenade The first tree of the promenade was planted by its namesake, the Indian poet Rabindranath Tagore who was cured at the State Hospital for Cardiology. Since then the grew to be large, and many well known people visiting Balatonfüred followed the example of Tagore. 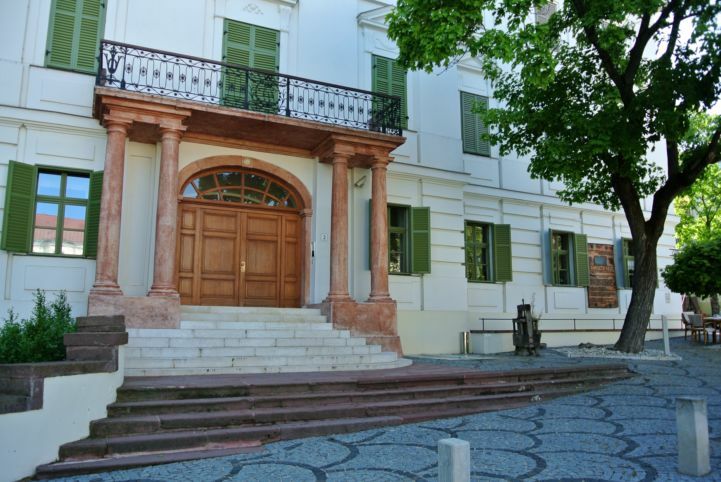 State Hospital for Cardiology The healing, acidulous, C02-rich water of Balatonfüred was already known at the beginning 18th century when the first bathing house was built where the water was heated for the patients by a furnace. In 1926, the Hindu poet, Rabindranath Tagore was a patient in the now famous hospital. Round Church The Round Church, a symbolic building of Balatonfüred, was designed to resemble the Roman Pantheon by Antal Fruman and built between 1841 and 1846. It can be visited after registration. Vaszary Villa Gallery Designed by Győző Cziegler, the eclectic style, steepled summer palace was built by Archbishop Kolos Vaszary in 1892. The palace, renovated in 2010, houses exhibitions on fine arts and photography. Drinking Hall of the Lajos Kossuth Spring The water of the Lajos Kossuth Spring flowing at Gyógy Square has a very high iron content giving it a characteristic sour taste and healing properties. 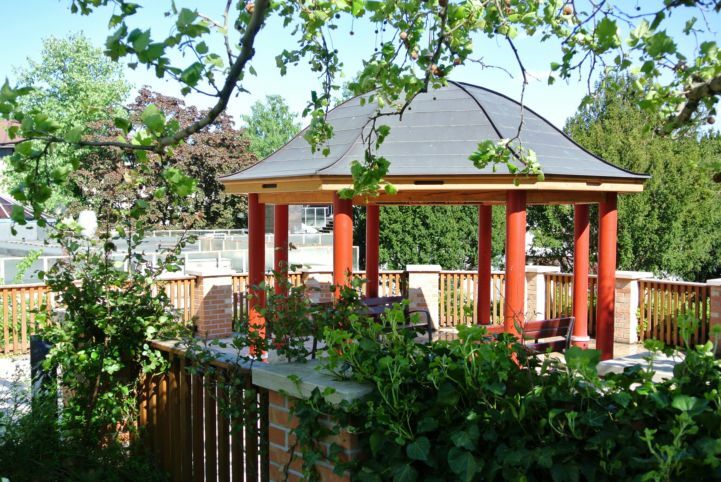 A Classicist style well was built above the spring at beginning of the 19th century. Ruins of the St. Michael's Church The 12th century St. Michael's Church is unique as it was built on top of the walls of a burned down, ancient Roman villa from the 4th century. In the first half of the 16th century, the church was destroyed by the Ottoman armies and today only its ruins can be seen in the Old Catholic Cemetery. The Columns of the First Hungarian Stone Theatrei The first stone theatre of the Dunántúl region was built in 1831 in Balatonfüred. 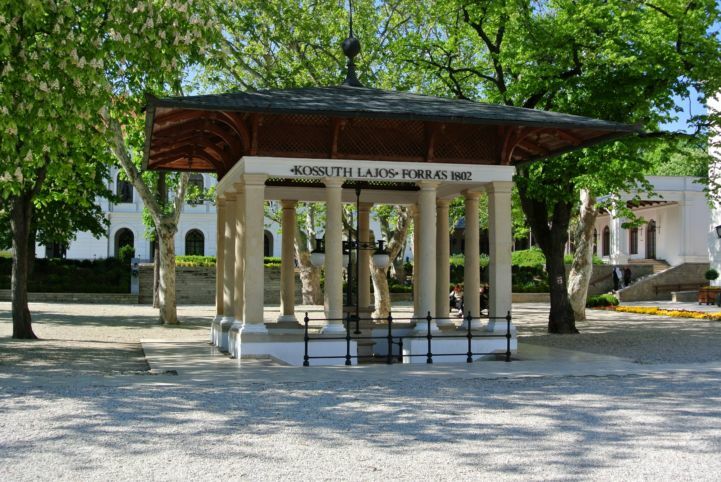 It operated until 1868 and its remaining 6 columns were placed in the 10 hectares large Kiserdő near the State Hospital in 1958. Mór Jókai Memorial House The novelist Mór Jókai has this ecletic style summer house built in the 1860-1870's. Today it houses an exhibition about the author. The authentically furnished house has many of Jókai's personal belongings, and visitors can even meet characters from his novel, The Man with the Golden Touch. 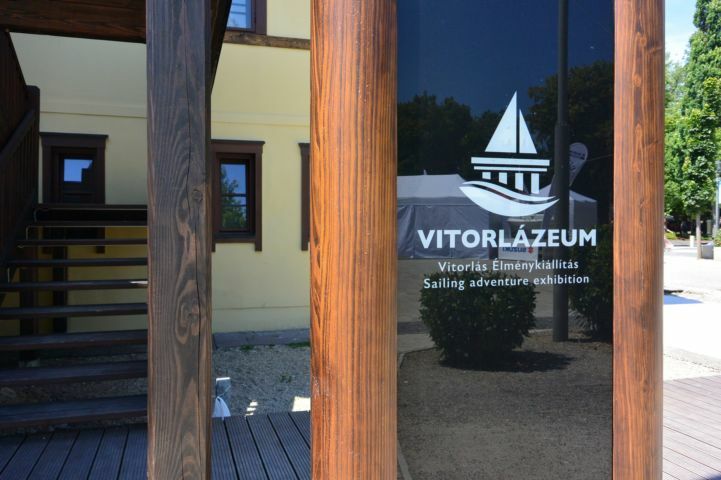 "Vitorlázeum" Sailing Museum This unique, interactive exhibition space is housed in the building of Lake Balaton's oldest sailing club. 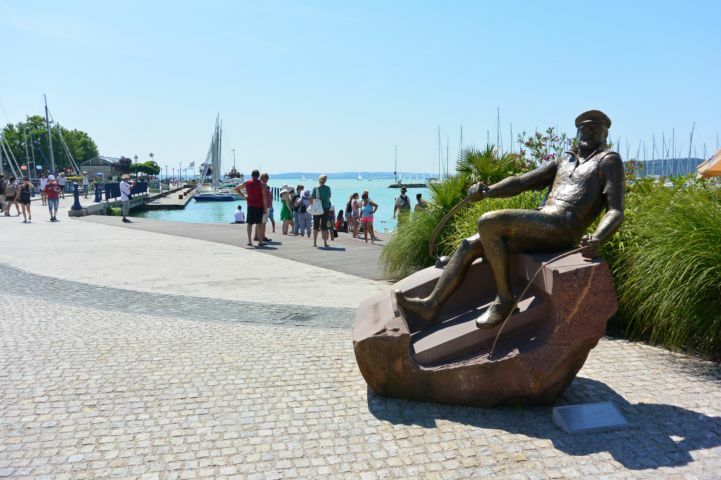 The museum presents the history of sailing and one of its most exciting parts is the Storm Simulator in which we can come face to face with the stormy side of Balaton. Kisfaludy Gallery The 19th century building housed a restaurant for nearly 100 years and later a cinema and theatre for 80 years. Today the renovated building operates as a gallery, where exhibitions, concerts and other events are held. 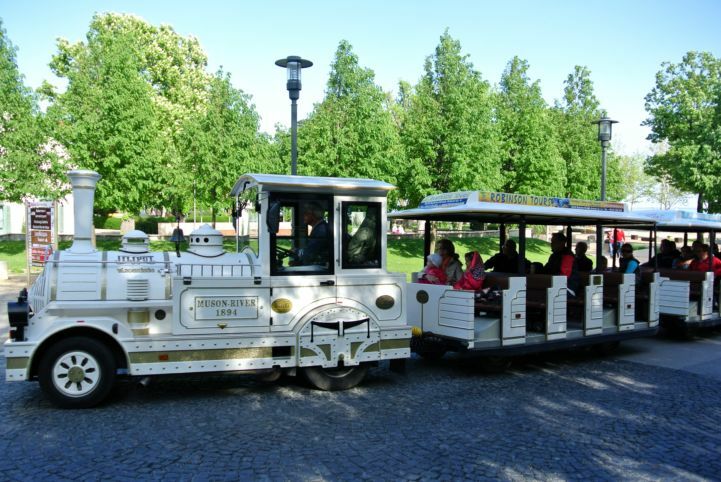 Town Museum By visiting the museum, we can learn about the Reform Era history of the city. Besides the permanent exhibitions about the local travel system, the medicinal baths, the Anna-balls and the theatre culture, the Visitor's Center is also located here, from where we can join a city walking tour. Summer House of Lujza Blaha The house built in the 1860's was purchased by the famous actress Lujza Blaha, also known as the “the nation’s nightingale". in 1893. The pediment of the Classicist style building commemorates the fact that the actress lived here. Horváth House The late Baroque (Zopf) style house built at the end of the 1790's was the location of the first Anna-ball in 1825. Széchenyi Palace The summer palace located in the Balatonarács suburb was built by the father of István Széchenyi, Ferenc Széchényi in 1792. 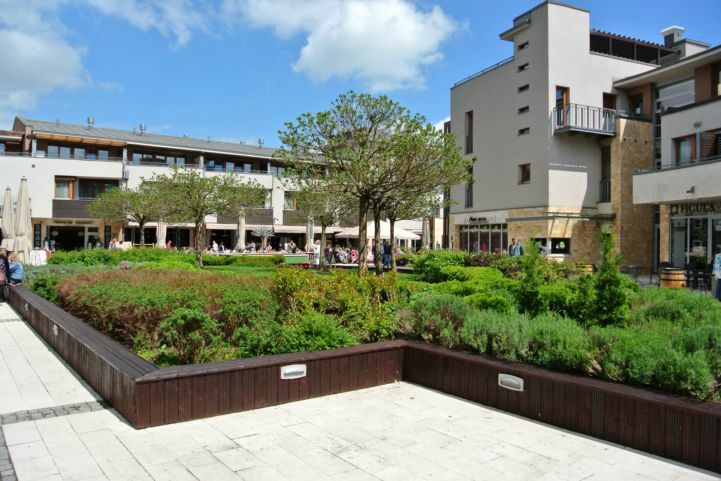 Today, the building houses a horticultural school. Gombás Mansion The late Baroque (Zopf) style mansion, built at the end of the 18th century, is one of the oldest monument buildings of the city. Today, it operates as a hotel. Christ the King Church Referred to by locals as the Red Church, it was built in neo-Romanesque style from red sandstone found in the area in the second half of the 1920's. Reformed ('White) Church The Reformed Church, also known as the White Church is where the author Mór Jókai went for Mass during his holidays in Balatonfüred. Evangelical Church Designed by the Ybl Prize winner architect László Benczúr, the evangelical church was consecrated in 1999. Assumption of Mary Church The Roman Catholic church located in the Balatonarács suburb is probably an expansion of an earlier medieval shrine. The Baroque main altar of the church is 50 years older than the building itself, its origin is unknown. Arácsi Folk House The folk house built in 1914 only serves as a community centre since 2010. It houses permanent and temporary exhibitions. In the adjacent building, visitors can see an exhibition on postal history and a collection of rocks and minerals. Bodorka Balaton Aquarium Located at the northern end of the Tagore Promenade, the aquarium presents the complete fauna of the Balaton and some species from the Adriatic sea in 17 containers with information in three languages. Kisfaludy Beach The popular beach with 430 meters long shoreline offers sandy sports pitches, adventure pools and guarded bicycle parking. 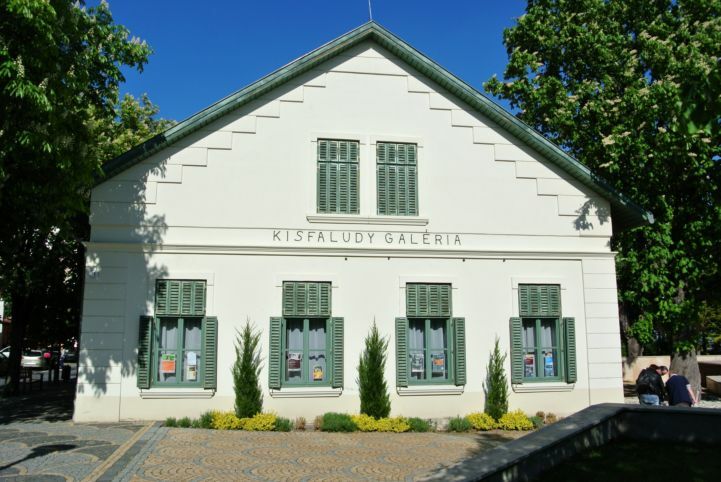 The Kisfaludy is a real family and children friendly gem of Balatonfüred. Esterházy Beach and Water Park The enormous beach has a volleyball and a streetball pitch, and there is a separate water park with adventure pools for children and adults. The Esterházy Beach won the special award for the "Most Family-friendly Beach" in 2015. Balaton-Go-kart Let it be sunny or stormy outside, the track of the Balaton-Go-kart are great fun for families or a group of friends. We can race with the karts at two location in the city. Brázay Kalandpart The Brázay-KalandPart is a two-in-one experience: it is both a beach and an adventure park. The rope courses leading above the beach offer a great sight and huge amounts of fun! Füred Wakeboard Center In this sports center located in the Füred camping, you can try water skiing, football, volleyball, minigolf, diving, kayaking, canoeing, windsurfing, sailing and there are also courses to learn how to do all of these. Annagora Aquapark Located only 500 meters from the Balaton, the aqua park open in the summer season offers 11 indoors and outdoors pool for adults and children, 12 giant and 3 children slides, and the second largest wave pools of the country. Other sights: Pantheon, Dőry Mansion (today the Hotel Astoria), Reformed Church (Balatonarács), Adventist Church, Amazonas Museum, Lóczy Cave, Jókai Lookout Tower, Anna Grand Hotel, Pálóczi Palace, Koloska Valley, Baricska Csárda (restaurant), building of the Hermina Court, House of Balaton Wines, Sightseeing Train, Local History Collection, The Lizard (statue). 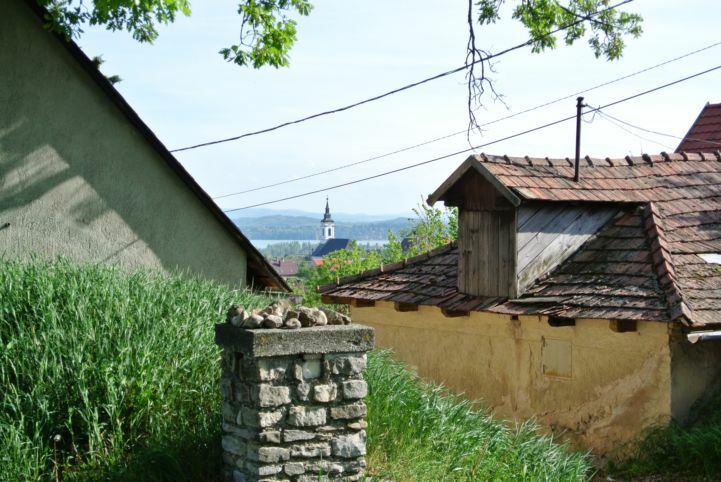 According to the archaeological findings in the area, Balatonfüred was already populated during the Ancient Roman era. In the Middle Ages, six smaller settlements (Magyaré, Arács, Kék, Füred, Papsoka, Siske and Szentkirályparragja) occupied the area. Arács was first mentioned in a document from 1118 but we have information about Papsoka and Füred only a century later in a document about the list of properties of the Tihany Abbey in 1211. 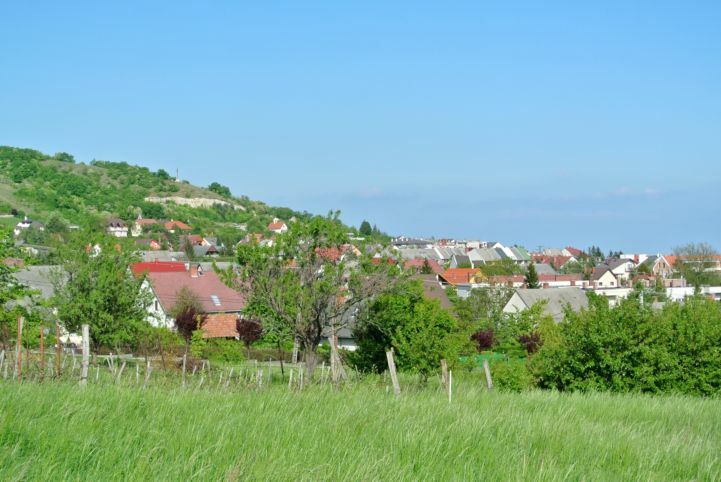 During the centuries Magyaré merged into Arács, and the other settlements merged into Füred which was already a significant town in the 16th century. Arács and Füred became one city in 1954. The healing, acidulous water was first mentioned in 1717 and its properties were analysed scientifically in 1722, and later it officially became listed as a healing water source. The source that today flows under the State Hospital for Cardiology was at the time flowing on the property of Miksa Tenkovits who built the first bathing house here. Today, the water is being used mainly in the hospital where tens of thousand of people are treated every year. Among the cured were the Nobel laureate, Indian poet Rabindranath Tagore in 1926, who later became the namesake of the lake shore promenade of the city. Balatonfüred began developing in the 19th century. In 1831, with the help of Sándor Kisfaludy, the first stone theater of the Dunántúl region was built here. 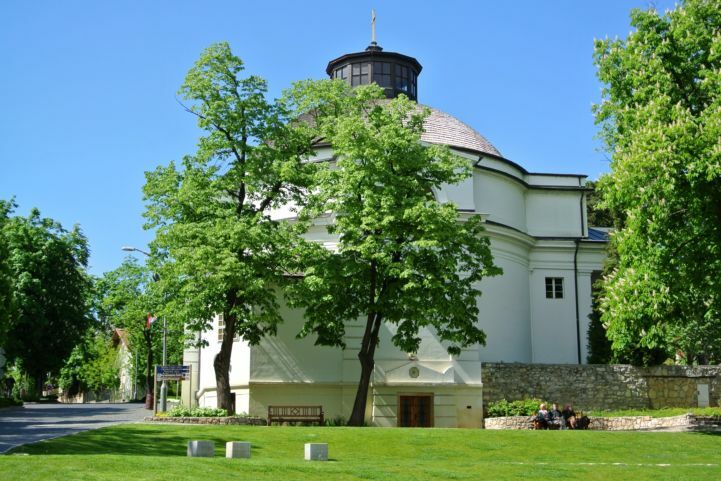 The drinking hall of the Lajos Kossuth Spring and the Round Church was also built in the first half of the 19th century. 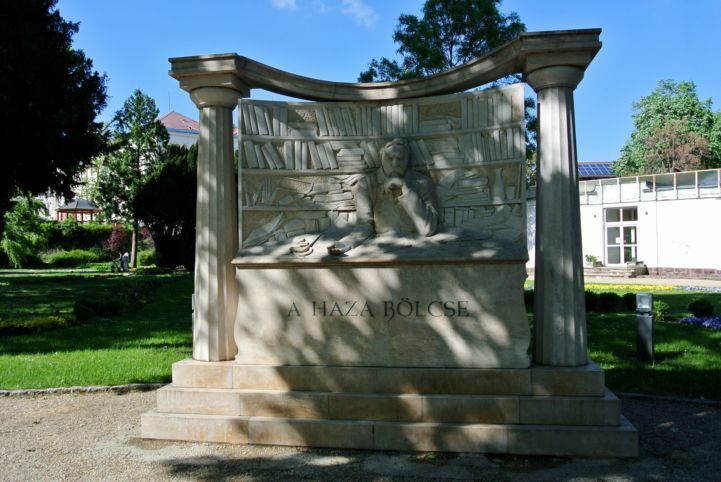 In the summer of 1825, the first Anna-ball was held in the Horváth-ház to honor Anna Krisztina Szentgyörgyi Horváth, an event which has been organised every year ever since. In 1846, the first steam boat of the Balaton, the Kisfaludy departed from Balatonfüred. Later, a shipyard was also built here. After the Austro-Hungarian Compromise of 1867, the city became a popular meeting place of politicians and artists. This was the period when its shores were filled and put into shape, and holiday houses were built. The author Mór Jókai wrote parts of his novel, The Man With the Golden Touch in his holiday house in Balatonfüred. Today, the building houses a museum where we can see the personal belongings of Jókai. In 1844, the first sailing club of Hungary, the Stefánia Yacht Club was founded here. 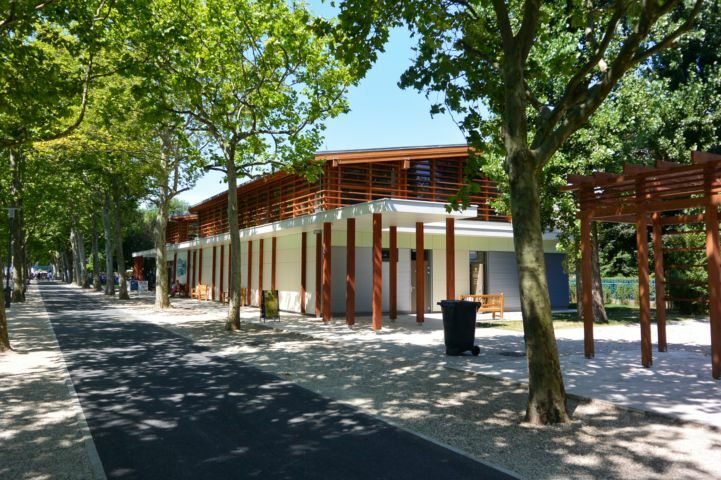 In 1971, Balatonfüred became officially the first spa and resort town of the country. In 1987, it is also won the prize for International Town of Grapes and Wine.